Yesterday, May 17, I joined a group of walkers and lovers of nature and wild land on the Wake for the Wild, organised by Alan Sloman. With about 40 others, many of them, like Alan himself, on the TGO Challenge, we carried a coffin from Loch Mhor over a rough, heathery ridge to Dumnaglass Lodge (where we were met by the police, called out just in case we were dangerous) then on up to the wild moorland that will be destroyed by the Dumnaglass wind farm. The day started with a fiddler playing a lament over the coffin before it was rowed across the loch to the start of the walk. Near the Lodge we stopped while Alan said a few words about the purpose of the trip and his belief that the last of Scotland’s wild land will soon be no more and at the high point we toasted the wild with a variety of whiskies (including some from England!) 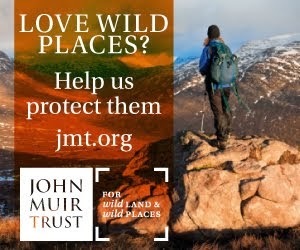 and Janet Donnelly, an authorised celebrant for The Humanist Society of Scotland, said some moving and valedictory words about wild land, ending with a quote from John Muir. Throughout the day the gentle beauty of the rolling hills, the soft light, the every-changing clouds, the first summer moorland flowers and the vast vistas of hills and sky were a reminder of what we will lose and what future generations will never know. An ironic note to the walk was provided by the Dumnaglass Estate, which had posted notices especially for us headed “Wake for the Wild” which asked us to be careful not to disturb nesting birds and to “avoid damage to the ground”. If only the Estate would follow its own advice. As it is, I don’t think the effect of 40 walkers respectful of nature and the land will be noticeable compared to the 12 kilometres of bulldozed high level roads, 1000 tons of concrete and 33 giant turbines the Estate will build, effectively trashing the landscape and its inhabitants. This morning I’m feeling pretty fed up that due to family circumstances, I was unable to make the trip 800 mile round trip to join the protest. However, I’m surprised and very disappointed, that more people didn’t show their support by attending. The notice posted by the estate is beyond belief, obviously the spirit of the autocratic absentee land owner is alive and well in Highlands!!! Well done to all those who took part, especially Alan for organising (and to the poor sod who donated the coffin and had to be buried in a brown paper bag). Wish I coulda been there (wish I didn't have so much work on!). 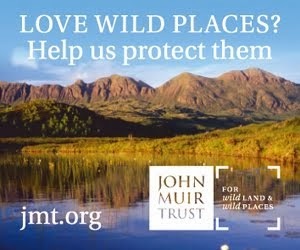 Great cause and well done for highlighting the estate's contemptuous attitude towards the wildlife its supposed to be safeguarding on its own land. "Avoid damage to the ground" indeed. It was a great day out and quite surreal at times - especially when the two very pleasant policewomen at Dunmaglass Lodge asked for Alan's name and address. We all had visions of MI5 raiding the house under cover of darkness looking for .....what exactly? It was a privilege to walk with like minded people and I for one will be walking the hills as much as I can before they are trashed forever. Well done to those attende. We are experiencing the same thing here in Wales and with the announcement of the Lib guy yesterday, walking will become a giant slalom! Thanks for the write up and to Alan for organising this. What a disaster this is that is besetting the Scottish Highlands! As it turns out, I walked through the proposed Dunmaglass windfarm location last year on the TGOC and it appears that I won't be able to do that again. Its difficult to accept the angry wound created by on the one hand wanting to do something for the planet by supporting alternative energy and yet also wanting to preserve our fragile natural environment at all costs! PS. What happened to the coffin? Aussie Mike, those of us only out for the day carried the coffin back down again and then it went off with a local anti-wind farm campaigner who may well use it again. I think it is possible to have renewable energy without destroying the natural environment. But it requires planning and investment in different forms of energy rather than the free-all and the big subsidies for wind we have at the moment. I am in complete agreement that wind farms like these, in wild places, are an abomination; and that they aren't at all to do with renewable energy, but rather the 'windfall' of cash offered to the landowner and made available through government subsidies. However, in the hope it might allay some of the consternation over the long-term impact of wind farms like these, I recently wrote a blog post about the remains of the Cornish mining industry that are still prevalent across the moorland near where I live; and how those remains in many ways actually add to the nostalgiac drama of an already evocative place. Difficult to appreciate at a time like this I know, but the Wild will win out eventually, gradually reclaiming what is taken away from it. Interesting thoughts, Celtic Rambler. Earlier this year I walked through the mining area at Wanlockhead on the Southern Upland Way. The ruins, spoil heaps and other detritus are interesting and atmospheric. But I wouldn't like to see any more of the area looking like this. I've also walked the Chilkoot Trail in Alaska/British Columbia, which is the route the Yukon gold rush would-be miners took to get across the coastal mountains to the headwaters of the Yukon river. The area was deforested with shanty towns everywhere and thousands of people moving through it. Today it's a peaceful forested valley with little sign of the disturbance. But, as with the Cornish granite, the buildings were wooden and abandoned items wood, leather, cotton and iron - all materials that rot and fade back into nature. This won't happen to the huge concrete bases of the wind turbines. They'll crack and discolour but crumbling away will take many thousands of years. In the very long run geological processes will totally change the landscape anyway of course. What we should be concerned about today is the present and the immediate future - our children, grand-children and great-grand-children. And also the wildlife that is being disrupted and killed now and whose destruction will increase as more turbines are built. Your response very much mirrors my own opinions on the matter, as you'd probably realised by reading between the lines of my post. I wrote the post really to get a better sense of perspective over a wider time frame than most of us bother to look at (and as you say, that time-frame might well be measured in the thousands of years); and as a way of looking for the silver-lining in an otherwise cloudy series of afflictions on our wild landscapes. While I'm not a supporter of wind farms I fear that the most important arguments against are being over shadowed by the least important (in context) reason against, the destruction of wild land. Wind power is in reality inefficient and expensive, reasons enough to oppose it and while as outdoor enthusiasts we don't want to see the landscape destroyed we are in the minority and realalistically there's no chance of stopping or even reducing the number of wind farms being developed on the wild land issue alone (after all isn't a golf course is being built on an SSI). Unfortunately although the other points against wind power are covered in detail on Alan's blog they aren't being commented on when the subject of Wake for the Wild (or similar) is discussed. I fear that the most valid arguments against will be dismissed due to their association with what the general public and those with a vested interest see as the complaints of a few outdoors enthusiasts and there's a real danger that those with a vested interest will seek to emphasise that very point and those who oppose will be seen as some kind of airy fairy head in the sand eco warriors devoid of any reasonable argument. I have to disagree with the view that in the event wind farms ceased to exist the evidence will remain for 1000's of years and as such be offensive to future generations. I doubt they'd last quite so long, costal batteries built in the last 100 years have all but disappeared unless preserved and in any case we see the evidence of the past everyday and it barely warrants a 2nd thought beyond being viewed as a link to the past. Even if the concrete bases (or even the derelict remains of a wind turbine) did still exist future generations would most likely view them the same way as we today view bothies, ruins, lead and tin mines etc etc, with little more than a passing thought about how or why they came to exist in the 1st place. The landscape has changed constantly, beyond recognition in some cases in even the past 200 years, the bothies and ruins that remain are the evidence of the communities that once lived there, if we turned the clock back we'd find that the areas we see as desolate and wild weren't quite so desolate but the comunities ceased to exist as times and needs changed and as it is today money was a major factor. The wind farm issue can't be dealt with on the basis of changing the landscape so let's make sure that we deal with the real issue, wind power is inconsistant, innefficient and expensive but lets also not lose sight of the fact that if wind power isn't the answer to our ever increasing energy demands the other options aren't without their own problems and concerns. While I admire Alan for the effort he's put in I'd urge those who oppose wind farms to read Alan's blog and arm yourself with the facts so that if you need to state a case against wind power you can do so based on arguments that are valid outside of the backpacking/outdoors community. Good points Mac E but I think the landscape argument can be effective because hillwalking and general tourism is the most important industry for the Highlands and the quality of the landscape is always cited as the main reason people visit. I think the tide is slowly turning in our favour. Two wind farm proposals in the Southern Uplands have been turned down in recent weeks and all the talk since the Scottish election has been about offshore wind farms. The problem with the inefficiency of wind farms argument is that most people, including virtually all politicians, don't believe it. They say that wind farms work fine so inefficiency is not a reason against building them. I think location is the best argument - where wind farms are acceptable and where they are not. Poloticians may choose to ignore the facts about cost/efficiency but isn't that more reason to ensure that they face facts. I don't have any answers and as I say what the best solution is may well be equally unpalatable but if we're forced to accept wind farms then we need to decide just where they are acceptable. I'd be interested in hearing peoples views on that, obviously certain geographical locations are more suitable than others so lets say for the sake of argument Drumnaglass was put on hold subject to finding an alternative site can anyone suggest where would that site be. Not sure what to make of this piece. They quote some scientist from Reading University saying that average wind speeds are likely to continue dropping over the next 40 years (apart from May, the past two years have indeed been remarkably calm up in Scotland). It's always hard to say when a blip becomes a trend, but it is certainly possible that we might be entering a quieter period. Thanks Walter. I hadn't seen that piece. It's quite interesting. I guess one thing it shows is that it's very hard to predict the local results of climate change. A belated "thank-you" for coming along and supporting the Wake. And huge thanks for lugging the coffin away afterwards as well! In the over-all scheme of things it is a speck in the work needed to be done for the wild land to be free of turbines - the bulk of the daily grind is carried out by all the groups fighting each and every planning application - my heart goes out to them. 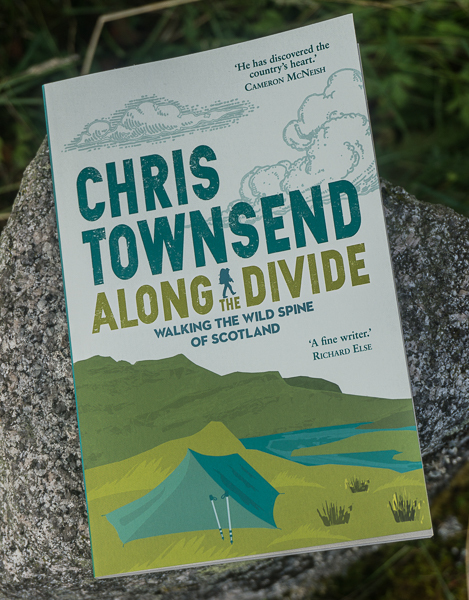 But as we all know, unless there is a sea-change in governments' thinking, the wild land in Britain is going to be industrialised on a massive scale. Only big power hungry businesses are likely to stop wind when their power prices rise higher than their Worldwide competitors and they suffer power outages due the National Grid breaking down. Then we really *will* see effective lobbying to denounce wind. But until then we should support each and every campaign group who fight the planners. It's rather interesting with respect to the Beauly-Denny line. Apparently, the real cost of putting cables underground is not as high as the National Grid claims. This also raises the further issue of why the 'community funds' that wind developers are prepared to give to local communities should not be rather used towards the cost of putting cables underground instead of adding the insult of bigger pylons to the injury of the turbines. I'm sure the MCofS has already put the case for these claims, but this new report seems to add some more ammunition? Thanks Walter. The issue of undergrounding is becoming more prominent now there is a threat of pylons in scenic parts of England. It's just been announced that the cost of Beauly-Denny has doubled - to be paid for by the public of course.